Rene Ruiz is a Shareholder in the Firm’s Labor & Employment Department and a member of the Firm’s Board of Directors. Rene has been honing his craft as a labor & employment attorney in Miami since his admission to the Florida Bar in 2001, at the age of 23. Rene began his career at a prominent national law firm, and was mentored by John-Edward Alley, a titan in the labor law field. In 2007, Rene was first included in The Best Lawyers in America as an associate lawyer (one of the very few attorneys to do so in the history of the prestigious publication). The following year, he was voted into partnership at the age of 30. Rene partners with private and public sector employers to formulate winning strategies for achieving effective labor relations and other business goals. A skilled negotiator, Rene has helped save his clients millions of dollars through collective bargaining, administrating union grievances, handling arbitrations, defending unfair labor disputes before the National Labor Relations Board and the Public Employees Relations Committee, and managing union certifications and elections. In addition, Rene trains employers on union avoidance and strike preparation, and has successfully navigated through actual and threatened strikes and other work stoppages. Rene also litigates wage and hour disputes, discrimination, retaliation, whistleblower and harassment cases, and matters arising under Title III of the Americans with Disabilities Act. Rene has amassed an impressive list of international and national clients and has achieved many notable victories on their behalf. For example, Rene has successfully negotiated numerous collective bargaining agreements for his unionized clients that were ratified by the respective labor unions without a work stoppage. These labor agreements have helped save his clients costs by expanding their management rights, restructuring pensions and other future liabilities, and attaining numerous union concessions. In addition, Rene has successfully defended the broad application of the “agricultural exemption” under the Fair Labor Standards Act by winning summary judgment collective actions challenging the application of the overtime exemption for various agricultural employees. Rene has also successfully defended numerous restaurant and retail clients throughout Florida against cases alleging barriers to disabled access. Outside of his legal accolades, Rene co-founded the Sports Leadership Arts and Management (SLAM!) Academy network of public charter schools. SLAM! serves an overwhelmingly minority student population and unlocks seemingly unattainable opportunities within the sports industry for its students by preparing them for a myriad of sports-related careers including broadcasting, sports medicine, media production, physical therapy, marketing, nutrition, entertainment, entrepreneurship and management. Rene serves as the President and Chairman of SLAM! network of schools, which currently has campuses in Miami, Las Vegas, Palm Beach, Orlando, Tampa, Atlanta, Miami Beach, Boca Raton, and San Antonio. Rene also serves as the President and Chief Executive of the SLAM! Foundation, which helps direct the network’s growing list of corporate partnerships and supports the network’s current campuses, as well as the upcoming replications of its successful model in Scottsdale, Baltimore, Detroit and beyond. SLAM! has received immense support from global superstar Pitbull, a co-founder and the network’s Brand Ambassador. With Pitbull’s dedicated support, SLAM! has garnered significant national attention through features on The Today Show, Good Morning America, The Tonight Show, the Katie Couric Show, National Public Radio, The Washington Post, ABC Nightline, and CNN, among countless others. 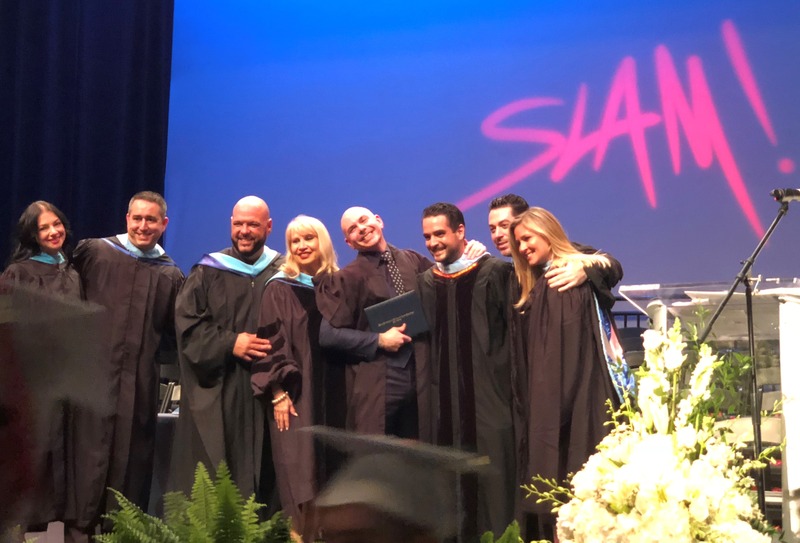 SLAM!’s journey from “305 to Worldwide” took an important step in 2016, when it was awarded a channel on Sirius XM Satellite Radio to be produced by students of the SLAM! network, the first-ever school to receive such an honor. SLAM! Radio delivers award-winning student produced content every day on Sirius XM Channel 145. While in law school, Rene interned with the Honorable Stephen T. Brown and the Honorable Ted E. Bandstra in the United States District Court for the Southern District of Florida. Rene also served on the Editorial Board of the University of Miami Law Review. Rene is a veteran member of the Firm’s Latin America (LATAM) Practice Group and advises LATAM clients regarding U.S. matters. Rene is also a regular contributor to the Firm’s labor & employment law blog, BeLabor the Point. Represents a leading international sugar producer in negotiating collective bargaining agreements with their farm and industrial employees, handling union grievances, and defending arbitration hearings and unfair labor practice charges. Represents a leading national provider of food, beverage, and retail services throughout airports and service plazas in all labor matters, including collective bargaining. Represents an international aircraft manufacturer in negotiating collective bargaining agreements with flight simulator technicians. Represents a national clothing retailer with employment litigation and disability access under Title III of the Americans with Disabilities Act. Represents numerous local and national restaurants with disability access under Title III of the Americans with Disabilities Act. Represents numerous municipalities in Florida in negotiating collective bargaining agreements with members of their police and fire departments and general employees. Events: Nose Out of Joint? What's the Law on Joint Employer Status? Publications: Happy New Year from the NLRB! Events: Cheesehead Fallout: What is the Future of Public Sector Bargaining and Pensions in Florida?